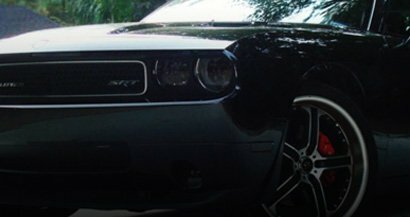 Rvinyl.com is excited to present a collection of installation instructions, guides and articles for the dedicated enthusiast, Do-It-Yourself installer and auto profesional. Because we cater to a particular type of person (you, the enthusiast) who's interested in more than making a purchase we do our best to stay on top of the latest trends in the restyling industry. In addition, we are constantly brainstorming about ways we can provide you with even more information about the products we offer in terms of what they do, how they can and should be used and any issues that might arise because of their use. Rvinyl.com is excited to present a collection of articles and guides for the dedicated enthusiast. Because we cater to a particular type of person (you, the enthusiast) who's interested in more than making a purchase we do our best to stay on top of the latest trends in the industry. In addition, we are constantly brainstorming about ways we can provide you with even more information about the products we offer in terms of what they do, how they can and should be used and any issues that might arise because of their use. Probably the biggest concern of many of our customers (and anyone else who modifies their ride) is legality. In other words, will you get a ticket if you tint your your lights? What is the maximum VLT percentage allowed in your state? What does SAE/DOT approval mean and can it prevent you from getting pulled over? Although we're not lawyers (and we do not give legal advice), our collection of articles will help to steer you in the right direction so you can make the best possible purchase decisions. Our selection of articles and guides will help you navigate the often confusing world of online accessories. Before buying a thousand dollar or more body kit, read our guide about some of the do's and don'ts of the process and get the most for your money. Learn the just what an LED is and what a load resistor will do for you. Stay up to speed on the latest trends and issues in the aftermarket community and become the go-to guy when it comes to automotive accessories. So, whether you want to know what the SAE/DOT designation for Altezza lights is or how dark you can really go and still pass inspection, it's all here for you.